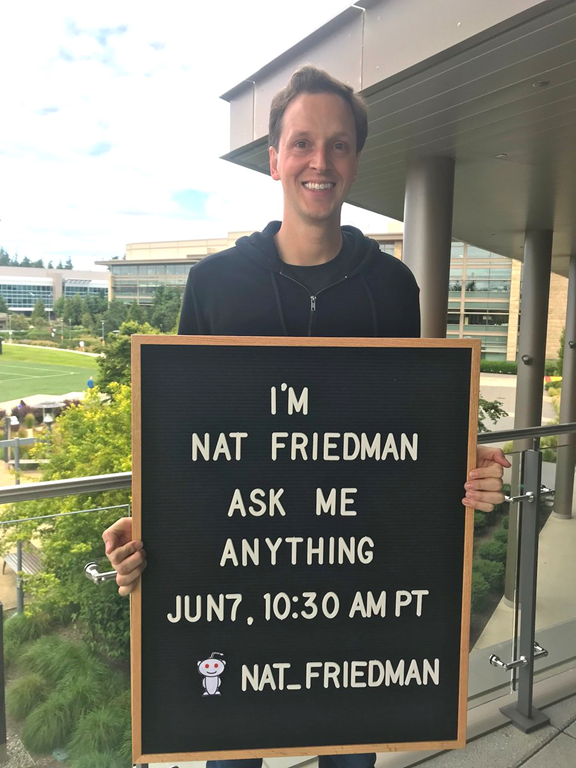 On June 7 at 10:30a PT Nat Friedman did a Reddit “Ask Me Anything” (AMA) about Microsoft’s planned acquisition of GitHub, and our work with developers and open source. Hi, I’m Nat Friedman, future CEO of GitHub (when the deal closes at the end of the year). I’m here to answer your questions about the planned acquisition, and Microsoft’s work with developers and open source. Ask me anything.